The cryptocurrency markets are experiencing a mix of mild gains and losses, after Friday's significant market surge. Bitcoin is holding steady above the $3,600 price point. Yesterday Bitcoin recorded a significant surge of more than 8%, resulting in a gain of $200 in value in just a few hours, reaching a multi-week high of $3,691 throughout the day. While down slightly since then, it’s still very much holding on to yesterday's gains. BTC is now trading at $3,666, up 0.3% during the past 24 hours. Bitcoin's dominance stands at 52.9%. The number one currency continued to trade sideways today, before stabilizing around $3,666. Following the news about a potential MimbleWimble implementation, Litecoin has held on to its 4th spot in terms of market cap. 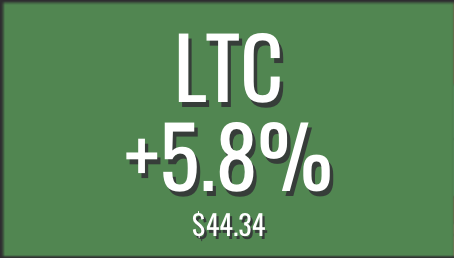 Litecoin is currently trading at $44.34, showing gains of 5.86% in the past 24 hours according to coinmarketcap.com. The second largest cryptocurrency, Ripple currently has lost about -0.22% in price and is trading near $0.30. Its market capitalization is over $12.7 billion, about $260 million more than the next largest crypto, Ethereum. Ethereum is trading at a $119 price point. The number three currency traded mostly sideways, dropping to an week low of $103 on Feb. 6. However, yesterday's market surge saw ETH prices go back to the rates seen in late January. Today’s top earner is Metaverse ETP with a surge of just under 13% while the biggest loser of the day is Ark, with recorder losses of almost 11%.